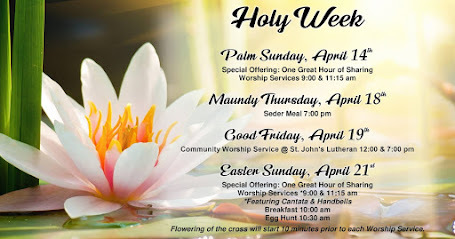 Come experience a new type of Holy Week Service! 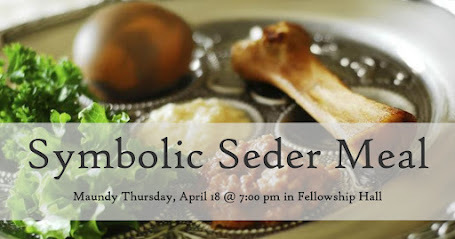 The Worship Committee is planning a Seder Meal on Maundy Thursday, April 18th at 7:00 pm. 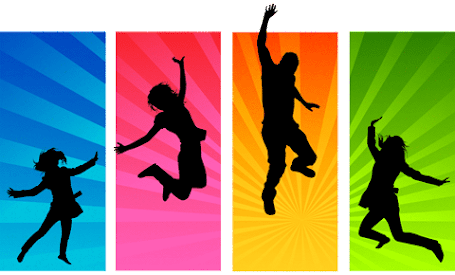 A Seder is a meal “based on the traditional celebration of Passover, but adapted in a Christian celebration.” If you would like to attend, please call the church office or use the sign-up sheet on the podium by the front door in our narthex.